Thanks to Diane Hale Smith for these beautiful photographs! It’s spring. Really it is, in spite of the weather. The birds know. They can tell because there’s more light in the world. The days are longer, the nights are shrinking, and they know it’s time to move. 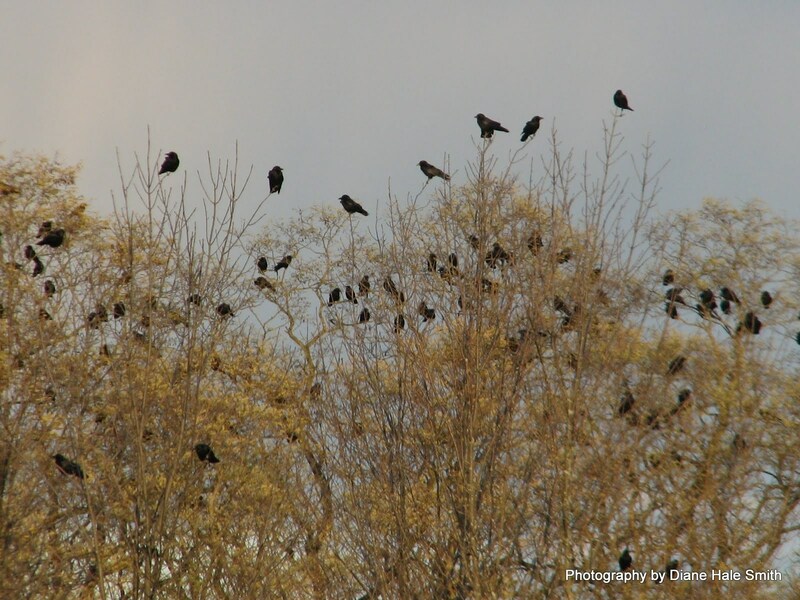 Huge groups of starlings, red-winged blackbirds, and grackles are swooping around, back from their winter spent in warmer climates. They’re complaining loudly about the frigid weather up here. They’re waiting impatiently, like the rest of us, for the weather to warm up. 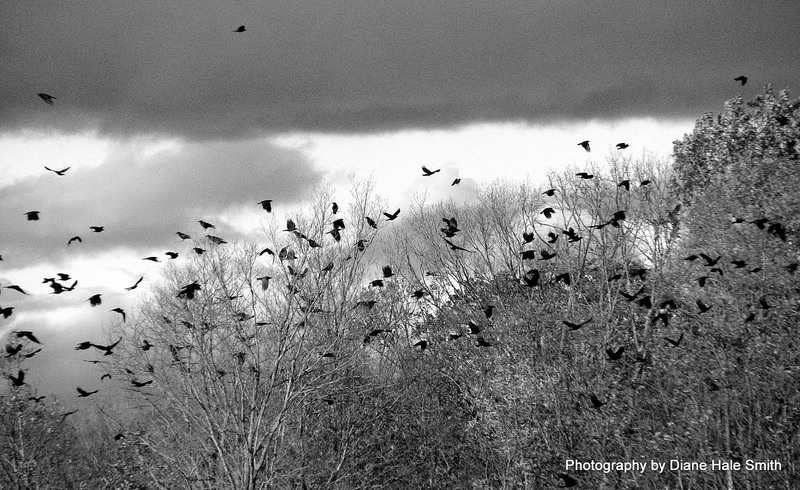 And my favorites, the crows, are still hanging out in their winter roosting spots at night. They’re restless, though. They’re staking out their nesting territories, out in the suburbs. Crows in upstate New York usually start nesting in the last week in March or thereabouts, so this cold weather is holding up their spring plans as well as mine. Scientists have studied this unison movement, and determined, using slow-motion video, that there is no one leader in a big flock. The birds respond to each other. Any bird, making a sudden turn, can inspire others to instantly follow. Fascinating! Makes me think of when someone is looking up, most people look too and the old adage “monkey see, monkey do” ! And thanks for the link.